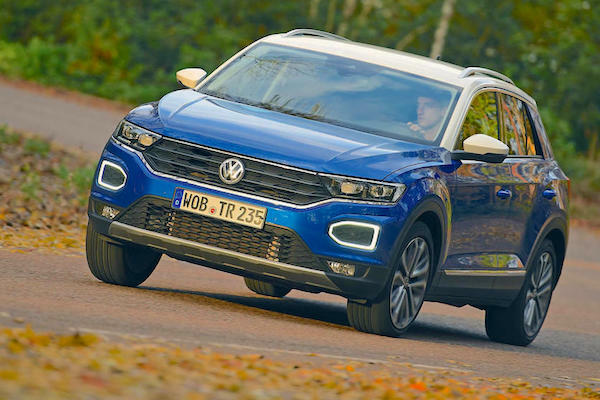 The VW T-Roc is among the five most popular nameplates in Germany for the first time. As we have witnessed in Spain (+48%), France (+40%) and to a lesser extent Italy (+10%), the largest market in Europe, Germany, is also totally biased by pre-WLTP stock clearances by a selection of manufacturers. Overall August sales are up 25% year-on-year to 316.405, with (artificial) fleet registrations solely responsible for this surge at +38.3% to 213.257 units and 67.4% share vs. just 61% a year ago in August 2017. This lifts the year-to-date tally up 6.4% to 2.473.284. As a reminder, new Europe-wide WLTP emissions rules, actually triggered by Volkswagen’s 2015 emissions scandal, came into place on September 1 meaning all manufacturers having non-compliant stock must get rid of it before that date, as their sale will be a lot more complicated afterwards. The VW Group, which recently announced only half of its lineup was WLTP-compliant, is the biggest culprit at home this month, as it was in July. Overall VW Group deliveries are up a whopping 46% in August to 41% share vs. 34.9% in August 2017, lifting its YTD tally up 14% to 965.641. Non WLTP-compliant stock clearing pushes the Renault Captur up 119% to #15. In the detail, almost all VW Group brands outpace the market: Volkswagen shoots up 46% to 20.1% share, Audi is up 45% to 8.9%, snapping the #2 YTD spot off Mercedes in the process and Seat surges 93% to artificially smash two records it established just last month: volume (17.220 vs. 14.016) and share (5.4% vs. 4.4%), outselling Skoda for the first time. Lamborghini (+276%), Porsche (+61%) and Bentley (+32%) also take off but Skoda (+18%) is a little muted. Renault is also artificially pushing sales in August at +102% to leap up to 5th place overall with 17.865 sales and 5.6%, the French carmaker’s highest scores this decade by far while Dacia (+53%) remains at an all-time high #11 for the third time after August 2017 and last month. Mitsubishi (+65%) hits its highest German ranking this decade at #15 with Morgan (+550%), Ferrari (+304%), Lotus (+122%), Jeep (+91%), Jaguar (+88%), Rolls-Royce (+86%) and Subaru (+74%) also posting extravagant gains. 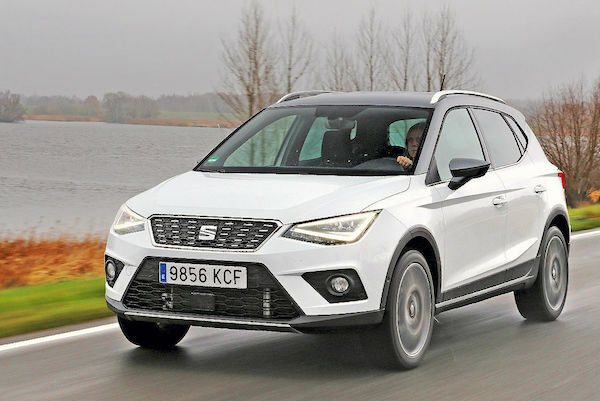 The Seat Arona breaks into the German Top 20 for the first time in August. Expectedly, the VW Group dominates the August German models ranking, starting with Volkswagen monopolising the Top 5 for the second time in its 80-year history after last May, this time with the Golf (+5%), Tiguan (+70%), Passat (+50%), Polo (+125%) and T-Roc, finally letting its hair down at #5 – a ranking it reached last April in neighbouring Austria and last May in Switzerland – up a staggering 8 spots on its previous best of #13 established just last month. The Audi A4 (+64%) and Seat Leon (+43%), hitting a new record market share at 1.9%, mean the VW Group monopolises the Top 7 vs. Top 9 last month, but with the Skoda Fabia (+63%), Audi A3 (+36%) and Skoda Octavia (-15%) it places 10 nameplates in the Top 11, the odd one out being the Mercedes C-Class (-1%) at #8. 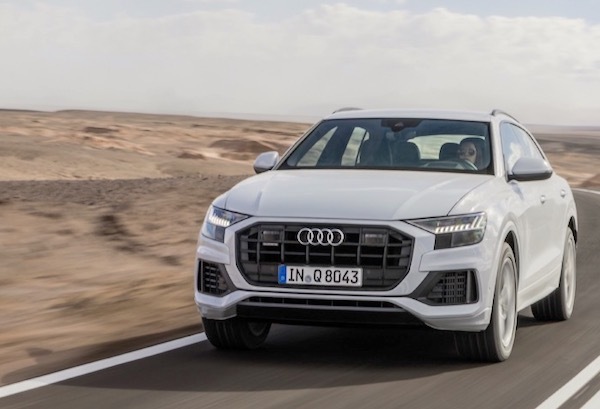 The successful Q8 helps Audi up 45% year-on-year in August. 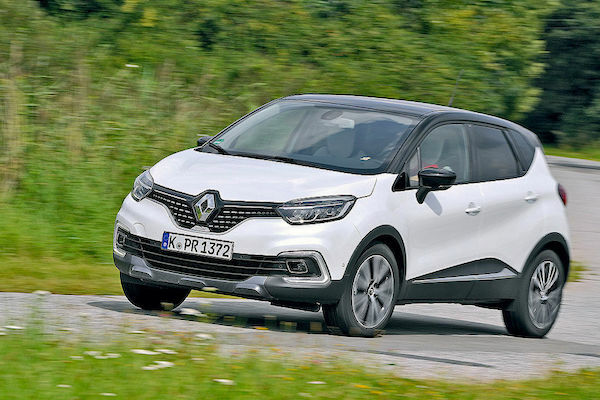 The Renault Captur soars 119% to #15, its highest ranking ever in Germany (previous best #26 in July 2017), the Seat Arona is up 8 spots on July to break into the German Top 20 for the first time at #18, with the Renault Megane (+152%), Renault Kadjar (+150%), Ford Fiesta (+119%), Renault Twingo (+80%), Dacia Duster (+80%), Seat Ateca (+76%), Citroen C3 (+73%), Audi Q3 (+72%), Renault Clio (+69%) and Hyundai i30 (+53%) also making waves in the Top 50. Among recent launches (<12 months), the BMW X2 rises 18 spots on July to break into the German Top 100 for the first time at #82, the Audi Q8 is up 75 ranks on its inaugural month to #138, the BMW 8 Series is up 39 to #236 and the Peugeot Rifter lands at #233 with 117 sales. The Mitsubishi Space Star is one of the rare models to improve its private sales ratio vs. July. Illustrating the artificial stock-clearing measures at play in August, the overall German market’s private sales ratio (PSR) falls to 32.6% vs. 37% in July and 39% in August 2017, with private volumes marginally up at +4.3% to 103.148 vs. +12.1% year-to-date. Logically, the vast majority of best-sellers with private buyers see their PSR drop dramatically this month vs. July: the VW Golf at 22% vs. 35.3%, the Polo at 39% vs. 54.3%, the Tiguan at 31.8% vs. 45.8%, the T-Roc at 39.6% vs. 55.9%, even Dacia nameplates, traditionally very weak with fleets, are affected with the Sandero at 74.3% vs. 93.2% and the Duster at 72.7% vs. 91.9%. The 6 most popular nameplates with private buyers come from either Volkswagen or Dacia like last month. Other notable PSR drops include the Mercedes C-Class at 32.5% vs. 40.8% last month, the Skoda Fabia at 32.5% vs. 48.3% and outside the Top 20 the Renault Captur at 26.3% vs. 39.2%. 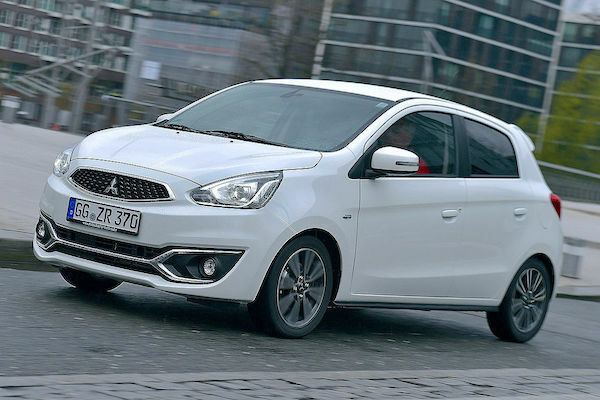 Some rare PSR increases include the Mini at 54% vs. 43.9%, Mitsubishi Space Star at 86.6% vs. 82.3%, BMW 1 Series at 45.5% vs. 38.1% and Ford Ecosport at 64.8% vs. 53.6%. Full August 2018 Top 50 brands, Top 335 models and Top 20 private sales below.